The house indicates our ambition, status, profession, father, fame, recognition, foreign travels or affairs, political power, authority and many others. But very importantly, it signifies our determination, self-reliance and patience. The 10th house reveals holy pilgrimages, as well as good and charitable deeds, compassion, etc. Father’s reputation is also signified by this house. The Sun is a great planet, but it is a natural malefic. All malefics thrive in an ‘upachaya’ house so by the virtue of this tendency, Sun does well when located in the 10th house. Sun in the 10th house is an excellent placement for career and the person may get success in all undertakings. The Sun is the significator of the 10th and hence gets dik bala, or directional strength, when located here. Moon is a neutral planet but it is a benefic planet as well. Its location and aspect produce calming and soothing effect always. When Moon is located in the 10th house, career matters are highly enhanced. If the waxing Moon is in the 10th house, the person is very fortunate as the significations of both the Moon and the 10th house flourish. The person is sure to enjoy fame and success from a very young age. Associations with the mother and females are greatly favored. When Moon is thus posited in a man’s horoscope, married life is smooth and enjoyable. Wherever the Moon is placed in a horoscope, it becomes an area of great interest and vitality. So the Moon’s location in the 10th house induces the person to love his/ her profession and to be sincere and diligent in efforts. The aspect of a bright Moon on the 4th house brightens the entire horoscope. Education, mother, happiness, fixed assets, and conveyances are all favored. The person is kind and warmhearted. Mars is natural malefic like the Sun and Saturn. The 10th house is one of the few houses that utilize this fiery energy of Mars to good effect. Mars gets dik bala or directional strength in the 10 th , often making this its best placement in the horoscope. The person is efficient and enjoys success and achievement all through life. The person is highly ambitious and may wish to be a ruler of some sort. Mars’ aspect on the 4th house may indicate ups and downs in relationship with mother and some amount of unrest in the domestic scenario. But overall, this is a fine location for Mars and makes the person ‘a go getter’ in his/ her profession. Mercury is a natural benefic and if Mercury is in the 10th house, the person has a successful career and a good reputation. The person has the capacity to earn plenty of wealth. It is necessary to consider the aspects to Mercury – alone and un-aspected in the 10 th . If this is true, it can indicate great intellect and involvement in a career connected with communications. Mercury rules commerce and trade, so this placement can mean a very successful person in business. Mercury’s aspect on the 4th house indicates a fine education and happiness at home. The person also enjoys fine conveyances and all kinds of comforts and luxuries; a good relationship with mother and benefits from her are well indicated as well. 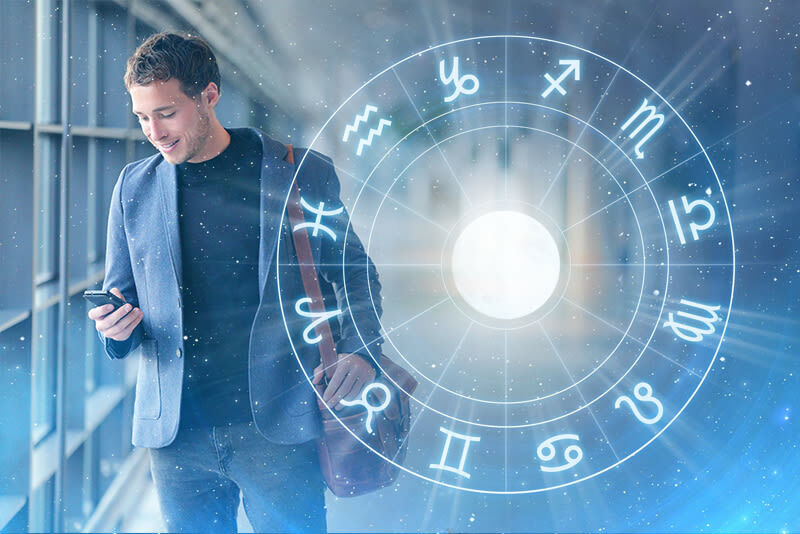 Jupiter’s aspect on the 4th house makes the person happy and content, gain of wealth is easy while fine conveyances and all kinds of comforts and luxuries are sure factors. Relationships with his mother benefits from her are well indicated. Gain from government or authority figures are also a strong possibility. Jupiter is known as the great benefic and even when it is the lord of inauspicious houses, its location and aspect produce some good somewhere; just as there is some unfavorable hidden in Saturn’s blessings. Venus is a natural benefic and like the Moon, it has its wonderful attributes. Its energy is beautiful and its placement in the 10th house makes the person bring joy and happiness to the public and all his or her associates. Saturn is a natural malefic and is greatly feared by most. When Saturn is in the 10th house, the person normally possesses great ambition, leadership ability and power. However, Saturn in any kendra gives major ups and downs in life and therefore, career successes may fluctuate. The benefits of this malefic’s location in the 10th house has its benefits too, though. Saturn in the 10th gives the tendency of leadership and a highly disciplined approach to one’s profession. However, the rest of the horoscope should be analyzed to confirm whether a leadership position is likely or not. Otherwise, the person’s work may be connected with construction, mining, or any career involving manual labor, like steel, iron, coal, etc. Saturn’s aspect on the 4th house is not good and may affect relationships with mother and also cause domestic unrest. Rahu is a malefic but the 10th house is one of the finest placements for Rahu. The person is likely to have a powerful and renowned career. Career will flourish most if the person is connected with the masses. Influencing the masses or selling to the public is the key note of this location. As Rahu essentially generates ambition, the person may live with insatiable career ambitions, changing career many times. If other signatures of the horoscope are harmonious, the person’s work and effort greatly benefit society. The person will easily reach a position of authority. Money power comes early in life and may help support parents. Ancient Hindu scriptures declare that the person will prefer the company of persons of a different religious background. Association with unconventional and low class people – especially women, are one of the pit falls of this signature. Ketu is also a malefic and is a profound energy of the unknown. Because malefics in upachaya houses produce good results, Ketu in the 10th gives excellent career success. But generally career is out of the ordinary. The sign placement is also very important as Ketu may cause problems if it is in an inimical sign (i.e., a sign ruled by one of the luminaries or a sign which is unfriendly. In such a case, the person could experience strange difficulties in career. The most common of the troubles caused by Ketu is enmity from unknown and behind-the-scene activities against the person in terms of his/ her career. This can become very troublesome in the career path as well as the person’s general success and happiness. When considering matters related to the 10th house, one must never forget that success relates to the status the person is born with. A very good 10th house in a pauper’s horoscope may not mean that he/ she will attain royal status – it indicates a status that is better than that of a pauper. But with malefic or Martian attributes, the person may even turn dictator and overthrow the government. When we consider the career aspect, it is not only just one or two houses that can be analyzed for a perfect picture. Career is connected with finance, vocation and ultimately, gains and self- satisfaction. If we just consider the 10th house for career, or the 6th house for service, or the 11th house for gains, or the 2nd house for conserved wealth, the analysis will remain half-hearted and incomplete. All the four have to be considered together and analyzed for just how well they are adjusted with each other’s planetary energies. Then alone will the true essence emerge!